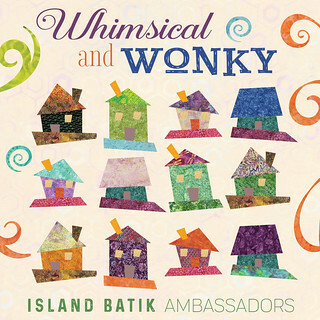 This month our Island Batik Ambassador challenge is Whimsical and Wonky. I knew just what I wanted to make. One of the quilts that I have given away and miss the most is the Improv Tumbler Mini that I made for the 2017 MQG swap. This month I'll be making a larger scale Improv Tumbler quilt with my Bright Paisley Dot 10" squares. These tumbler block units were cut with a rotary cutter without the use of a straight edge or template. I started by slicing the 10" square roughly in half, so they are all about 5" tall, but then I just chopped those strips up. 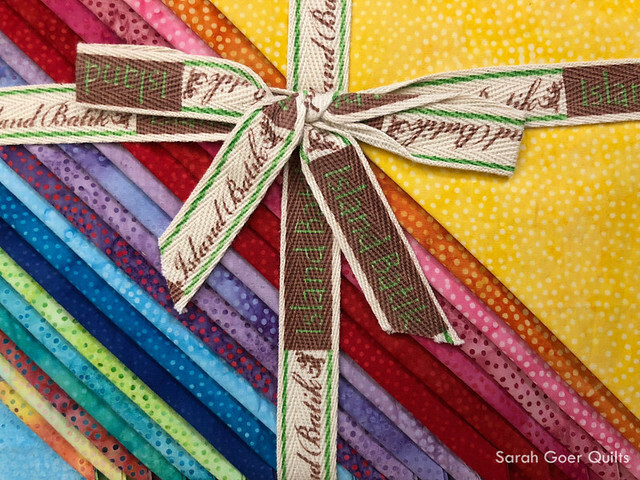 I'm looking forward to getting this lovely rainbow pile up onto the design wall. Posted in Quilting. Tags: fabric, Island Batik, Island Batik Ambassador, WIP on December 3, 2018 by sarah. 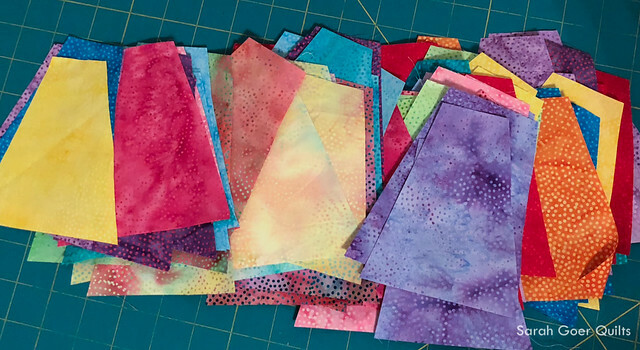 The Paisley Dot 10" squares are bright and fun and I look forward to seeing how the tumbling block quilt comes together for you! Looks like it will be quite fun! Those layer cakes are quite fun - but I am sure yours will have that added twist. Thank you, Kathleen. The 10" stack is a lovely rainbow of color. I'm working on a color wash layout. Oooooh....love those fabrics. Such rainbow goodness. It's such great color! Thanks for visiting, Anja!